6856 Scherff Road, Orchard Park, NY.| MLS# B1172024 | Largest Real Estate Sales and Property Management Company in The Finger Lakes and WNY. 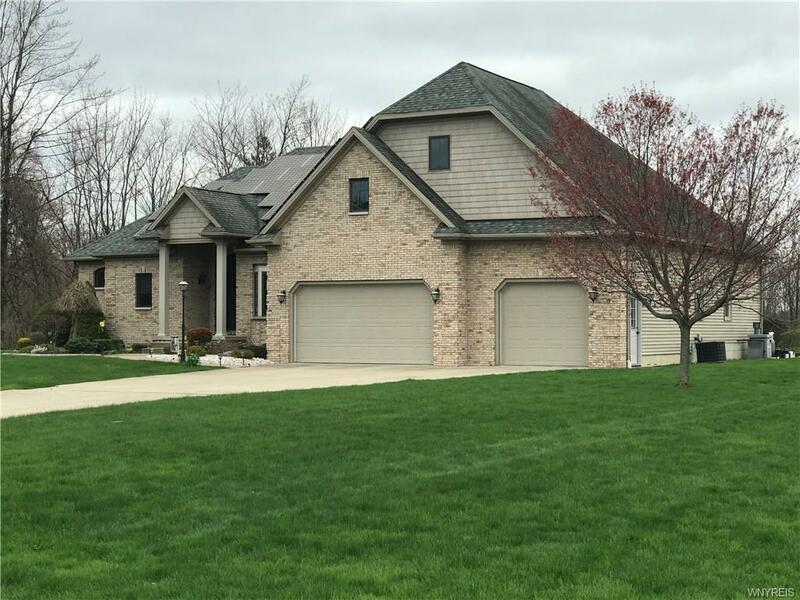 Luxurious custom built ranch on almost 12 acres just minutes from Orchard Park Village and Chestnut Ridge Park. Includes more than 3500 sf of superior quality living space with an appealing open floor plan and attractive finished lower level with high ceilings. Go green with the extensive solar panel array under lease with a minimum guaranteed output. Perfect for entertaining inside and out including an inground pool with hot tub and vinyl fencing. Includes security cameras and whole house generator. Original plans included additional living area on the second floor which is currently a large unfinished area with potential for further expansion. Uniquely different for those who truly want the best! Directions To Property: On Scherff Between Ward Road And Gartman; No Sign On Property - By Appointment Only.